The Highline 42.7 P is a Briggs & Stratton powered 42cm petrol lawnmower. 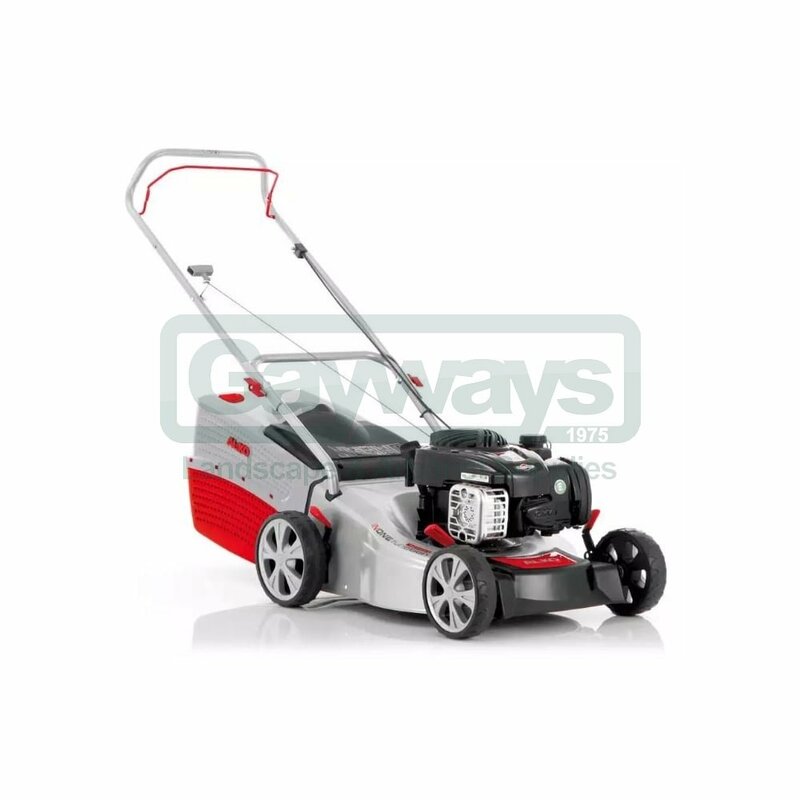 The Highline 42.7 P has a 42cm / 16 inch cutting width, ideal for small sized lawns of up to 800m2. 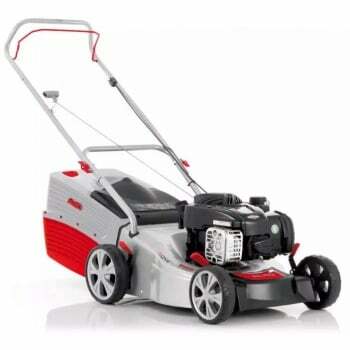 The German engineered, Austrian built 42.7 P features a reliable Briggs & Stratton 450E petrol engine which incorporates the latest OHV technology for optimal performance. This mower features the AL-KO 3INONE function which provides both the mowing and collection functions along with the mulching option by using the mulch plug supplied. Mulching your lawn throughout the year can be beneficial to the health of your lawn as the grass cuttings are finely chopped and discarded on the ground providing a natural fertiliser. The 65 litre grass collection box features a full indicator to alert the user when the collector requires emptying. The individual wheel cutting height adjustment allow the user to select the desired cutting height between 25mm - 75mm. Using the Highline 42.7 P is comfortable thanks to the ergonomically shaped handlebars and the XL wheels feature wide tyres for the protection of the lawn and improved comfort when pushing over ground which is uneven. The 65 litre grass collector features optimum aerodynamic airflow for maximum filling capability, whilst the fill-levelindicator lets the user know when it is time to empty the collector.